I spent another fun day at the International Quilt Festival in Houston today! Twenty-fie Handi Quilter Sweet Sixteens, ALL FOR ME! I taught an all-day class called "Elephant Quilting" and my students were wonderful! Holy Smokes! I have spent 4 months of this year away from home! And to think that I still have two months to go. Just... wow. Tomorrow and Friday I will be teaching on my sweet Sweet Sixteens from Handi Quilter. This quilt show is so busy and so full of fun that I don't get to spend any time in this hotel. Pity me! With all of the quilts I've sent out recently, you'd think my sewing room would look cleaner, wouldn't you? Yeah? Well, it doesn't. I'll keep at this "sending out stuff" thing and trust that eventually I'll notice a difference. I made this for my daughter's friend. She has an October birthday and loves Halloween. I'm sewing through my Halloween fabric stash and made this quilt from my Squared Away pattern. Happy Birthday! Enjoy your Halloween quilt! I was awake bright and early, fighting Houston's impressive rush hour traffic to go and teach my first day of classes at International Quilt Festival. Admitting there's a problem is a first step, right? I, Debby Brown, am a Talenti addict. I enjoyed my students ever so much! Their smiles and excitement are the reason that I do this job. I had students from the U.S., Canada, Australia, and New Zealand today. A truly international day! I think I must might do this again tomorrow! (Dear students, I promise I will show up for tomorrow's classes). So sad. Today was the last day of Quilt Market. The folks in the quilt industry are the finest folks in the world and I can't wait to see them again in Minneapolis in May 2015. I saw some fun things at Market today. They were designed by the super-talented John Kubiniec. This was in the Gen Q Magazine booth. It was published in the September issue of their magazine. It was quilted by my lovely and talented friend Teri Lucas. Now that I'm back in my hotel, I'm still thinking of quilts! I love this quilting life! Did you know that I speak more than one language? No? 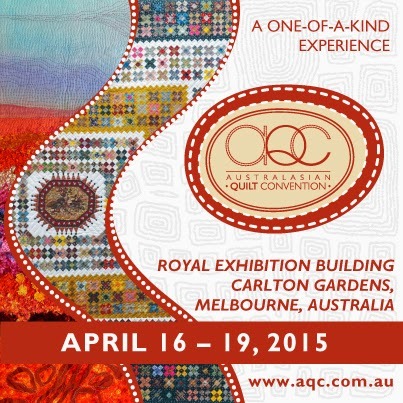 If you would like to learn to speak Australian, and maybe learn some quilting, too, you should consider coming to the Australasian Quilt Convention. It is my honor to teach there for the third time in three years. This is an outstanding show with outstanding quilts, outstanding quilters, and, truth be told, outstanding food. Class sign-ups begin this week. Hope to see you there! Some days at Quilt Market are good, and some days are very good. Today was one of the latter. 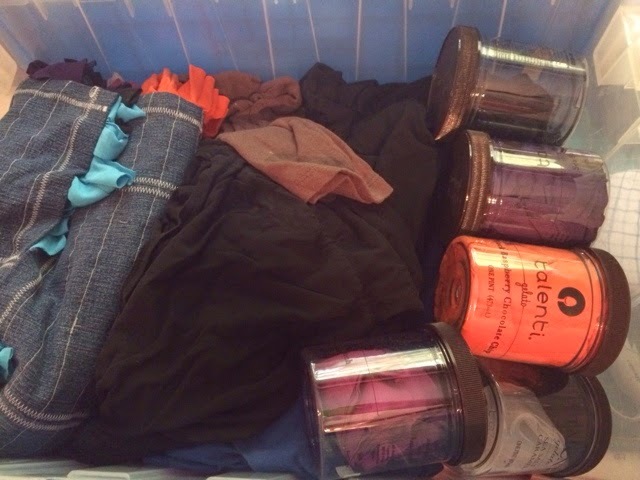 I'm looking forward to Quilt Market again tomorrow, but I'm not looking forward to rush hour in Houston nor lugging these boxes into the convention center. Maybe my Diet Dr. Pepper will thaw by Thursday or Friday? I am in HOUSTON!!!! WooHoo!!! Tomorrow I go to Quilt Market to see what is new in the industry, but today I spent traveling and then at the Handi Quilter reception. I'm a bad blogger because I took no photos at the reception. I'm going to read a bit more before turning in. Maybe I'll have sweet dreams? I often hear that so-and-so "lacks commitment" or has "commitment issues." While I don't lack commitment, I certainly have commitment issues. I just finished watching 9 seasons on Netflix, and then logged into Hulu (free!) for the first four episodes of season 10. SCORE! I watch (listen) to these shows while I am quilting. I've been quilting a lot lately (Hello? Houston?) and still have a bit more to do. Now I am a commited girl looking for a new series to commit to! What series shall I watch next? 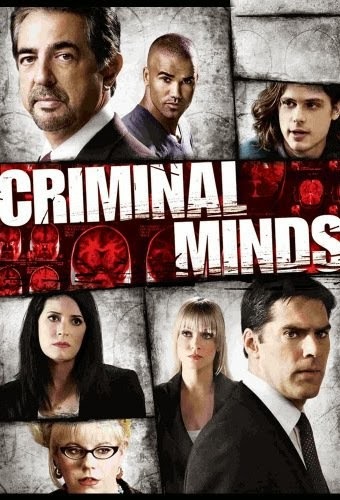 I like inane crime dramas and despise comedies. 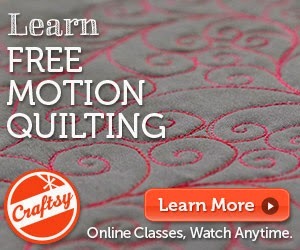 I am sponsoring a new quilter by giving her quilt kits to get her started. I make the kits from leftover bits in my stash and patterns I have used and trust. These are some of my happiest fabrics and two of my favorite quilt patterns. I'll let my young quilter friend choose which pattern she prefers. What are your favorite patterns for young quilters? I'm sure my quilter friend will need another kit soon! I have a large sewing room; it is the size of a two-car garage. I know this because it is directly above my two-car garage. Even with a large sewing room, the space is still limited. One problem I have is storage. This is a large room with no wall space; all of the would-be wall space is windows, a fireplace, and a sliding glass door. It is very hard to put shelving in front of doors, windows, or a fireplace. I sneak a skinny shelf in, here and there, but they are over-full and need to be re-organized. I have interests other than quilting (gasp!) and they overflow into the sewing room. Today's problem involves my cookbooks. I love to cook (and eat) and I have a lot of cookbooks. My kitchen has limited storage space (none) and the cookbooks are taking up precious shelf space in my sewing room. It's time to fix that! If I hadn't opened a cookbook in a decade or more, it was time to go. If I looked at a cookbook and remembered the one recipe inside that I used, I copied down the recipe (with my personal changes) and let go of the book. Fortunately, my library is having a used book sale this weekend. If you live near me, you should definitely check it out; I hear they have a great collection of cookbooks for sale. This is working so far. I can easily file each new printed recipe without needing a hole punch. I can make as many categories as I like and change them easily by re-labeling the pocket. In my system, "zucchini" is it's own category! Anyone else have tons of zucchini recipes to get them through "drowning in zucchini" season? I need to get to work on the rest of my shelves, but they are full of quilt books. I'm not emotionally prepared to deal with those yet. My sister has an October anniversary and this seemed appropriate. Last month, my students at Bits 'N Pieces helped me decide on the quilting designs. I used cotton batting and polyester cream thread. Happy Anniversary! I hope you enjoy your Halloween quilt! I am away from home a large percentage of the year (115 nights so far this year). I am very used to running through airports, changing hotels, dragging luggage around, standing in convention centers for 12-14 hours at a time, and other necessitites of the traveling life. When I am at home, though, I love to be at home. I nearly have to be dragged out of the house for errands and appointments and resist even putting on shoes. Appointments and errands are necessary, though, and I try to get them done as quickly as possible so that I can get home and back to quilting! Every time I think of something that I need to do, I file it in my errands folder. I also file coupons, shopping lists, and any other necessary papers. While I am out, I will check my errands folder and try to knock off as many of them as I can. Today I have to run to UPS to ship a box of kits to Houston Quilt Festival. While I am out, I will go to the Post Office to mail some paperwork to a future show and hopefully score some Rudolph stamps. I will pick up bagels. Mmmmmmmmmm. I will also go to the bank and library. Hopefully I will only be away from my studio for two hours and won't have to run errands again for several days. Today I'm going to love on my calendar, just a little bit. I am a paper planner/calendar gal. Yes, I have a smart phone permanently attached to my hand. Yes, I live on my computer. I've tried all sorts of digital calendars, but paper is the only thing that works for me. My little green planner is my BFF and I would be lost without it. A few weeks ago, I bought my 2015 planner pages. I was geekily excited about it. Today, I actually opened the package and started using my new pages. Squee!!!! The first thing I did was write all birthdays on the calendar in bright pink ink. Every time I open my calendar, I will see loved ones' birthdays and know to plan gifts, cards, and visits. I will also know not to schedule any work on the weekend of a very important person's very important first birthday! I have an entire list of birthdays on a single sheet of paper. I keep this updated and filed in my tickler file in the October folder so I remember to do this each year. After all of the birthdays are noted, I then transfered any confirmed quilt shows and doctor appointments onto the calendar. I keep 5 years of "future planning" single calendar pages in my book so that I will know not to agree to teach at two quilt shows at the same time! The last thing I did was to pencil in any quilt shows that I think I will be attending. They don't get re-written in ink until there is a contract, plane ticket, or hotel booking. The pencil marks help me know not to schedule a dental appointment during Houston Quilt Festival or AQS Lancaster. This saves me so much time on the phone, re-booking appointments that overlap quilt shows. Now my calendar is ready and I feel like I can handle life again! How does this help me quilt? Every time I check my calendar (daily), I am reminded of upcoming birthdays and what presents need to be finished by which dates. I usually miss those deadlines, but this way I'm only a little late instead of "You had a birthday?" late. 27 years ago today, the stock market took a nose dive. That day is now known as Black Monday. 27 years ago today, my husband asked me to marry him. The stock market is volatile and its future is always uncertain. Our married life has been quite an adventure and I look forward to another 27 years (or more!) with my super-hubby! I am visiting family this weekend. We are just hanging out and I am doing some hand stiching. I overpacked and brought nine different projects. I finished them and am leaving them with Mom. I want to keep working on this until it is done. This was actually fun! I don't think that I will live long enough to finish all of the cross stitch kits in my sewing room, but maybe I can finish this one someday? I un-couched three tablerunners that have been waiting for some attention since May I think? I'm not sure how I'l finish them, but they are now ready to go. This one is from April 2014, at least. Not too old. This is Quartet by Pinwheels using Daiwabo threads. SWOON! I think I might finish this as a tablerunner, just to be done with it. I have cones and cones of cotton, so I try to knit up a few of these whenever the begging becomes too loud. "Debby, I'm on my last dishcloth. Could you possibly knit some more for me?" I only finished the placemats and the un-couching, but I did manage to stitch on every single project I brought, if only to not feel like I ridiculously overpacked for a three-day trip. If you read my blog, you already know that I travel a great deal. Tonight is my 114th night away from home in 2014, and there will be many more nights away before the year ends. I purchased the zipper pouch at my local quilt shop many years ago. Recently, I filled it with all 60 shades of InvisiFil thread from WonderFil. It is a 100-weight polyester thread. I have large cones of this thread and could probably have wound small bobbins of each color to pack, but these spools are easier to see in the case, prettier, and oh heck I just wanted them. Happy birthday to me! I prepped all of my applique before I left home. I can now simply grab one bag and head out the door. This scrap quilt based on a simple flower template that I drafted. I started this years and years and years ago. It is time to finish it and get it out of my sewing room. This may take a few months, but I am committed to finishing this instead of packing it away to sit for another several years. I've been trying to have a "more out than in" philosophy about my house, hoping to clear some flat surfaces, especially in the sewing room. The folks at the post office are getting to know me as I often visit them to mail out boxes of love. Halloween placemats with matching napkins! Some ladies at my guild saw the pieced backs as I was binding these at our meeting and said "You are a modern quilter!" Um, yes? Mom and I will have festive meals while I am here visiting. And if we become sloppy, we will use the backs! My hotel room tonight is at Casa De Mom. Things are the same here as they were over 25 years ago when I left home. I, however, am different. When I lived here, I didn't have to figure out how to charge my laptop and my cell phone and my kindle and.... You get the idea. That's when I realized that my eyesight was much better all of those years ago. Immediately after I took this photo, I put my hand applique away and pulled out some knitting. I can knit without looking, so my poor old eyes can handle it. Lest you think that applique and knitting were my only two choices tonight, I don't think that 9 different hand sewing projects is too much for a 3-day visit, do you? I've been quilting a lot lately and keep thinking "with all of the quilts going out of this studio, shouldn't I see some empty space soon?" I didn't get rid of it, though; I filled it with a barely-half-done project that was clogging up my cutting table. The empty bucket translated into a clearer work surface. A clearer work surface will (hopefully?) help me to stay focused on one project until it is finished. My house diet, unlike a food diet, has me decreasing my fiber rather than increasing it. I am pulling out many old quilting projects, finishing them up, and finding new homes for them. 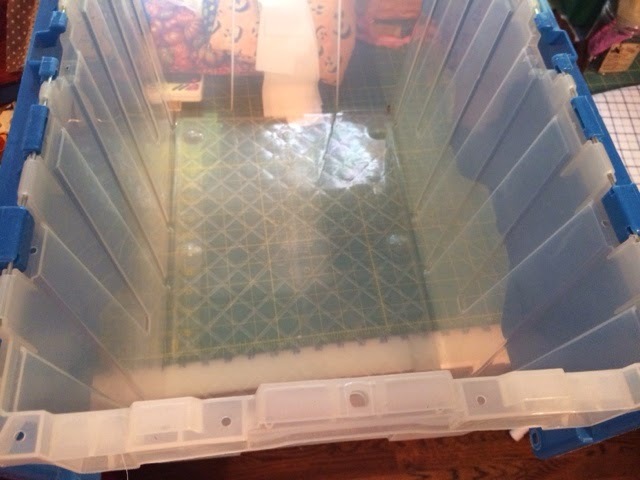 In theory, my sewing room should get cleaner with each project finish. In reality... notsomuch. I found a huge bag of Halloween fabrics. I know that I purchased some of it in 2008, but other fabric in the tote could have been older. These now live somewhere else. Happy Birthday! You know who you are. My house is bursting at the seams with nearly three decades of accumulated marital possessions, and let us not mention the contents of my sewing room! I want a soothing and peaceful house, uncluttered and organized. I am good at organizing, so how hard will can this be? I realized that I simply have too much to organize easily and must begin to own fewer things. How do I decide what to keep? How do I decide what to get rid of? "If I lost this, would I pay money to replace it?" If I wouldn't pay to replace it, I just might try and get rid of it now. When I get rid of things, I try really hard to not throw them away. I try to give things away to folks who can use them. The easiest things to give away are quilting supplies. I can give them away at my guild meetings and when I'm teaching. What quilter doesn't like free stuff??? Some days, the desire to get more organized just isn't there. I have had a rough October. I haven't been feeling well and I have had some family matters to deal with, all while trying to survive the busiest month on the quilt calendar. Today's to-do list includes set up longarms (I brought them to a class I taught this weekend), unpack class supplies, prep for 150 students (KITS!) at Houston, catch up on email, catch up on snail mail, write Thank You notes, do laundry, make travel plans for the rest of 2014, work on 2015 calendar, and much, much more. What did I do this morning? I sat at my computer at stared at Facebook. Just a quilting a block or two on this "happy happy" quilt makes my day brighter. Then I can return to my "big-girl" jobs and make progress. I'm listening to this as I unpack from last weekend, move bolts of fabric, pre-quilt my quilt kits, and pack for Houston.